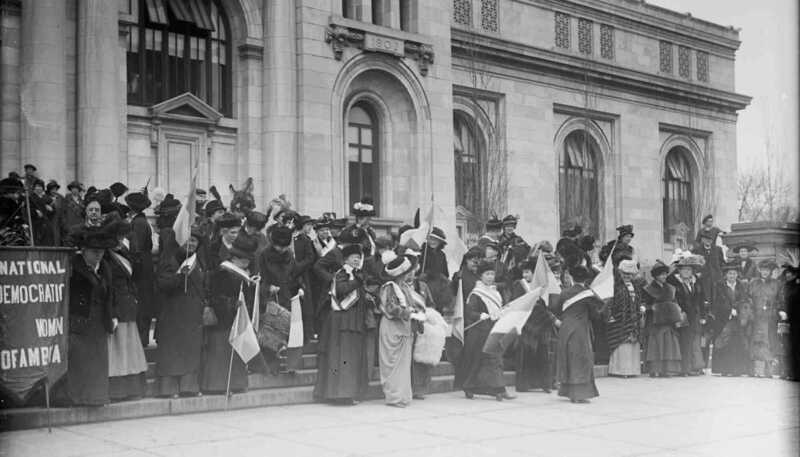 After the United States entered the war, American suffragists strongly felt that if America could defend democracy abroad, they deserved it at home, in the form of votes for women. Beginning in early 1917, a small but determined group of militant suffragists led by Alice Paul had been picketing the White House, urging Woodrow Wilson to support a Constitutional amendment to give women the right to vote. Calling themselves the " Silent Sentinels," a rotating cluster of women stood at the White House gates for months. They carried signs intended to challenge and embarrass Wilson. At first, Wilson seemed bemused by the picketers. He tipped his hat and smiled. He even invited them in for coffee. But as time went on, his attitude changed. In late June 1917, six women were arrested. Eleven more were detained on July 4. Ten days later, a third group was taken into custody. All the women were charged with "obstructing traffic." The protesters were sentenced to 60 days in the workhouse. There, they suffered beatings, forced feeding, and unsanitary conditions. But the pickets - and the arrests - continued. In August, scuffles broke out right in front of the White House gates. For three days suffragists were dragged, punched and choked by angry crowds. City police stood by, refusing to intervene. Presidents have to maneuver carefully on politically hot issues, and women's suffrage was no exception. The movement had been growing for decades. 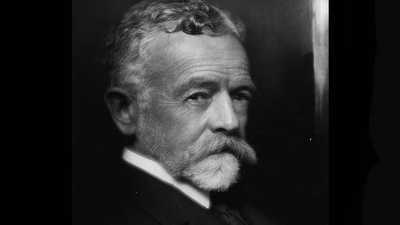 Despite a history of hostility to their cause, Wilson soon saw the political handwriting on the wall. Gradually, he began modifying his position. But only a world war would bring the president fully behind efforts to secure a federal amendment for women's suffrage. Wilson was repelled by the militant suffragists outside his gate. To him, their methods were insulting, unfeminine, and unpatriotic. But there were other suffrage supporters who shunned confrontational tactics. 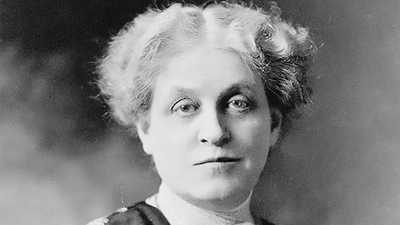 This group, led by Carrie Chapman Catt, embraced the war as an opportunity for women to earn the vote through their patriotism. On the eve of a Congressional vote on the women's suffrage amendment, Catt made a personal plea to the president. Her appeal worked. 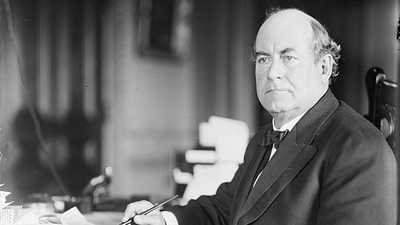 Addressing the Senate, Wilson finally spoke out in favor of the suffrage amendment. But it was to no avail. The Senate rejected women's suffrage by two votes. The Nineteenth Amendment would have to wait until 1920, after the war was already won.